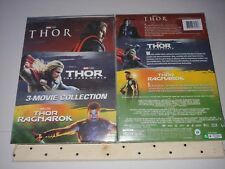 379 product ratings - Thor: Ragnarok (DVD, 2018) -Chris Hemsworth- New & Sealed FREE Shipping! 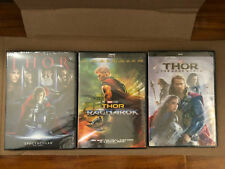 Thor DVD Set Trilogy (Thor, The Dark World, & Ragnarok) - Brand New! 79 product ratings - Thor: The Dark World (Blu-ray 2014) FREE SHIPPING!! Thor II: The Dark World NEW DVD FREE SHIPPING!!! 164 product ratings - Thor II: The Dark World NEW DVD FREE SHIPPING!!! Trending at $12.10Trending price is based on prices over last 90 days.